While the digitisation of our possessions has brought a measure of convenience and portability, security and storage remain an important consideration. After all, you cannot put a physical padlock on your online photos. A cloud storage solution provides peace of mind that your files are backed up and easily accessible wherever you have an internet connection. 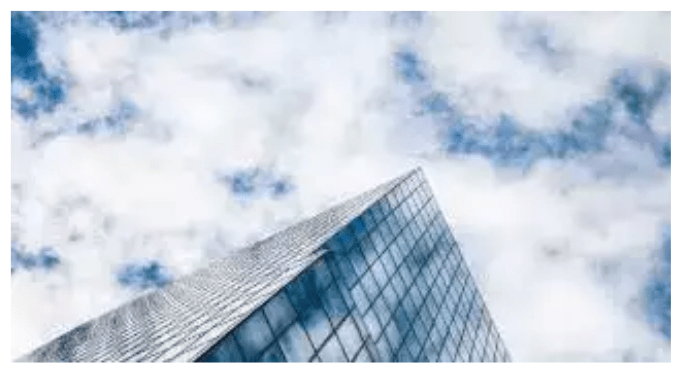 In addition, many cloud storage solutions offer extra features such as file sharing, online collaboration and advanced backup protocols to ensure your possessions are kept safe. We have compared some of the most popular cloud storage solutions including Dropbox, Google Drive, OneDrive and iCloud Drive to help you decide which one may be right for you. Most cloud storage providers offer a mix of free and paid subscriptions, each offering various levels of storage. How much storage you’ll need depends on what you intend to store. For example, movies will take up far more storage than photos, music, files and documents. Below is an indicative guide to how many files you could store with various levels of storage. Dropbox is one of the most well-known and respected cloud storage providers and has been around since 2007. Dropbox has a simple and streamlined interface which is very easy to learn. You can make new folders to organise your stuff, share files with other people and even create Word, Excel and Powerpoint files thanks to Microsoft online integration. This is particularly handy for students or workers who want to collaborate on a project in real-time. The free version includes 2GB of storage, which won’t last long unless you are only backing up a few items. 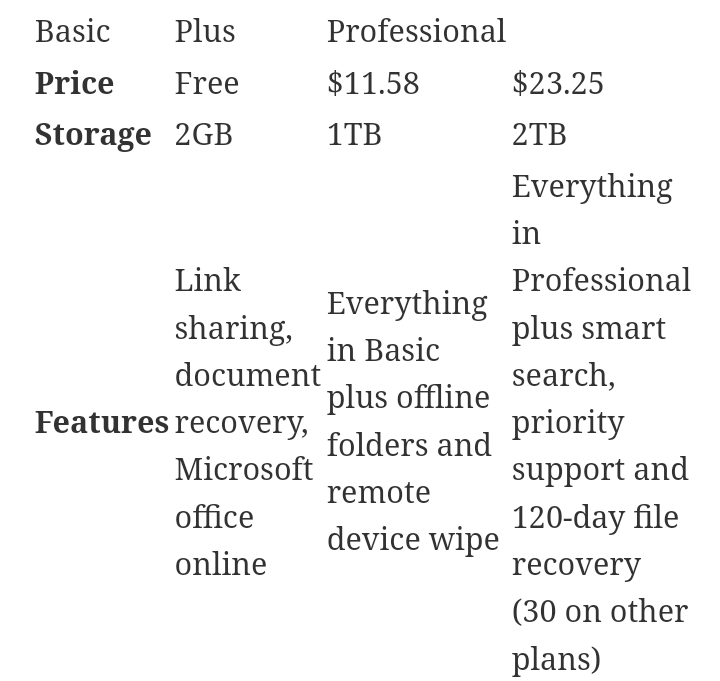 ‘Plus’ costs $11.58 per month and includes 1TB of storage, while ‘Professional’ doubles the storage to 2TB and includes business features like smart search for document finding, customisable branding and priority tech support for $23.25 per month. All plans include file recovery and version history. 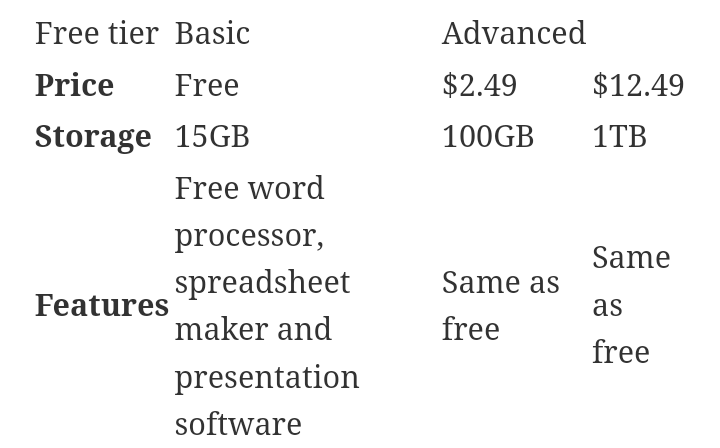 Google Drive offers the best bang for your buck of all the solutions, with the free tier including 15GB of storage. This is perfect for people who just want to back up their most prized possessions like wedding photos and important documents. Drive also includes Google’s own version of a document, spreadsheet and presentation software called ‘Docs’, ‘Sheets’ and ‘Slides’ respectively. These are basically stripped-down versions of the Microsoft Office Suite and can be converted into Office file formats if you prefer. 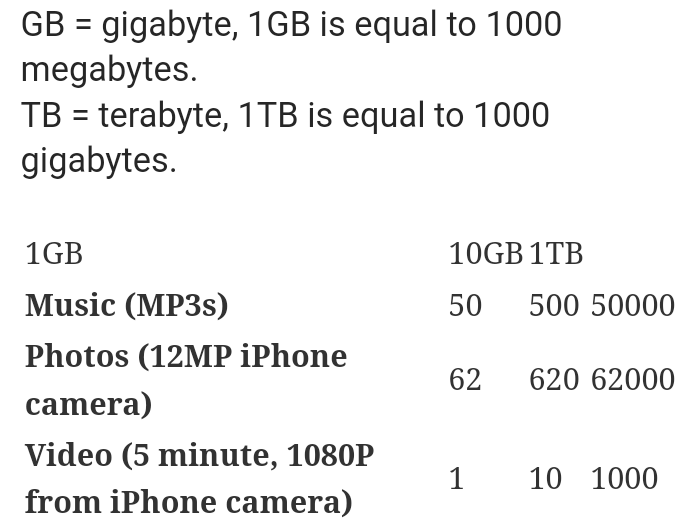 If you need more storage, $2.49 per month will get you 100GB, and $12.49 per month will get you 1TB. There is no difference in Drive’s core features as you move up or down plans. Storage options are available up to 30TB ($374.99 per month) for small to medium size businesses. OneDrive is Microsoft’s cloud storage and collaboration tool and is integrated directly into Windows 10 Explorer. OneDrive has two types of product: ‘storage only’ and professional. As the name implies, storage only lets you keep any file you like in OneDrive. 5GB is free and 50GB will set you back $2.99 per month. OneDrive professional includes access to the complete suite of Office online software including Word, Excel, Powerpoint, OneNote and Outlook as well as storage for all your files. This is especially beneficial for small businesses who rely on these products and want to move all of their operations into the cloud. 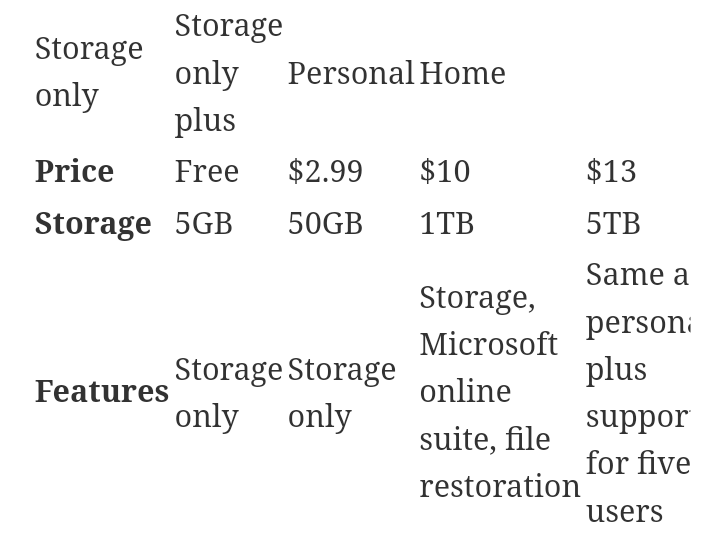 A ‘personal’ subscription includes 1TB of storage for $10per month while the ‘home’ tier ups the storage to 5TB and adds support for up to five users for $13 per month. 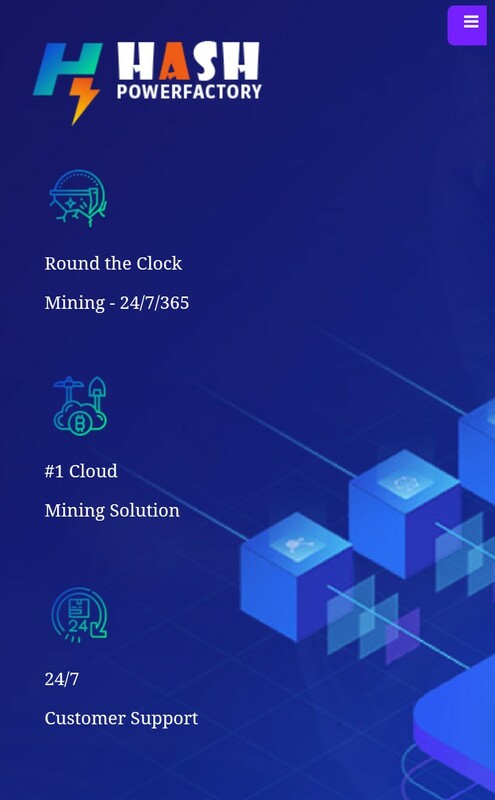 These plans also include extra security and productivity tools including file restoration, offline folders and link sharing. iCloud Drive comes pre-installed on every Apple device, allowing users to easily back up all of their app data, photos and files. While iCloud Drive does work with Windows, it is particularly designed for the Mac and iOS ecosystem of software and products. For example, users can instantly back up photos on their iPhone to the cloud and sync calendar events and notes across all their devices. While all files types are supported, only ‘Pages’, ‘Numbers’, ‘Keynote’ and ‘Notes’ files are editable from within iCloud drive. Your choice of a plan will depend on how much storage you need, as all options include the same core features. 5GB is included for free, with options all the way up to 2TB for $14.99 per month. If all you want to do is backup your files and collaborate on the occasional project for work or school, Google Drive is perfect. The free tier with 15GB will suffice for most casual users. For someone looking for advanced collaboration tools and recovery features, Dropbox is a solid choice. Microsoft and Apple users each have their own solutions with OneDrive and iCloud drive respectively. 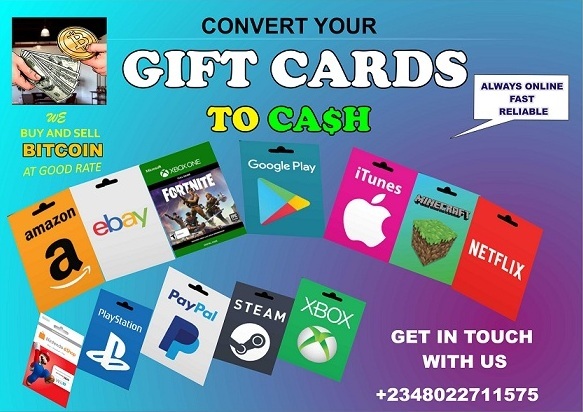 While there is nothing wrong with interchanging the two, they are really designed to work with their respective operating systems.